My garden has written its own sort of poetry today. 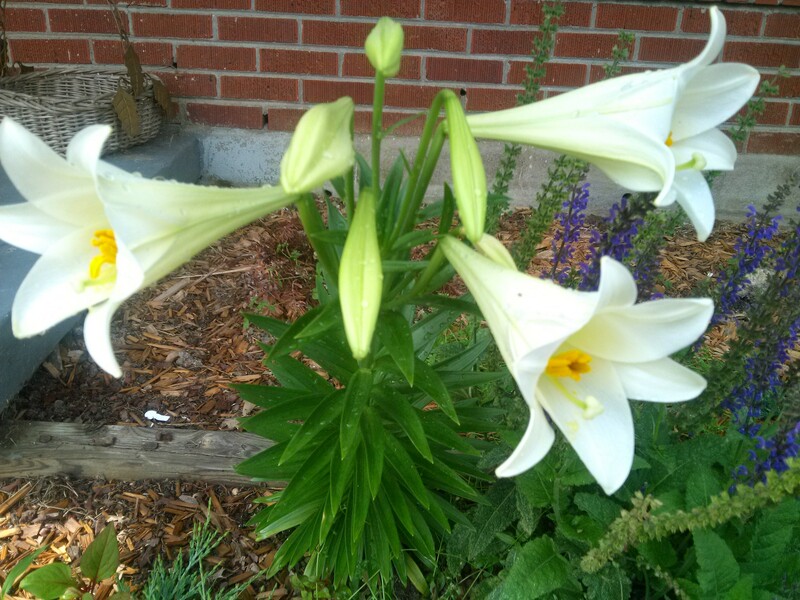 Pictured below are three blooms from the Easter lily I planted last year. The buds had hung suspended between heaven and earth for days, waiting patiently to open on the morning of Pentecost Sunday 2015. I took the photo after a brief thunderstorm, so some of the droplets of the latter rains still cling to their petals. Praise to thy eternal merit, Father, Son, and Holy Spirit.